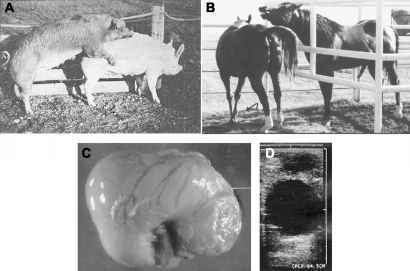 Genetic improvement in reproductive rate has been a common thread through a substantial body of literature in the animal and poultry sciences. Exploiting heterosis through crossbreeding holds immediate promise for increasing reproductive success. Applications include the extensive use of multibreed composite strains for commercial production in poultry and swine, and use of systematic crossbreeding in beef cattle and sheep. The general success of crossbreeding in increasing reproductive rate results from the very substantial contribution of nonadditive gene action to the total genetic variation. Significant progress in increasing reproductive rate has also resulted from selection. Specific selection strategies vary widely among agriculturally important species, with greater progress made in species subject to intensive management and exhibiting greater variability in reproductive rate.